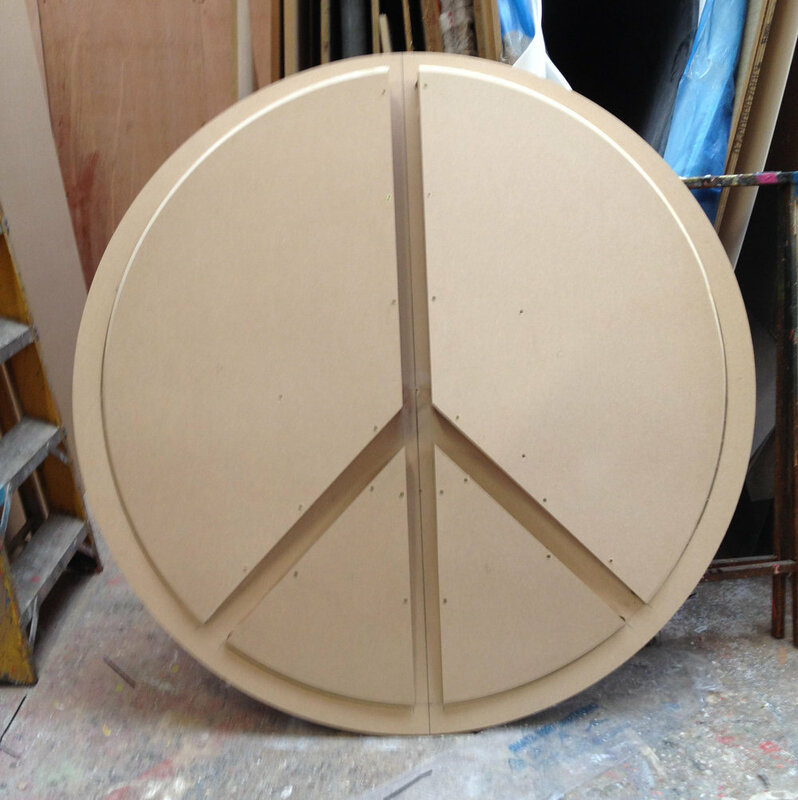 Some process shots from our design and build of the album artwork for Peace 'Happy People'. 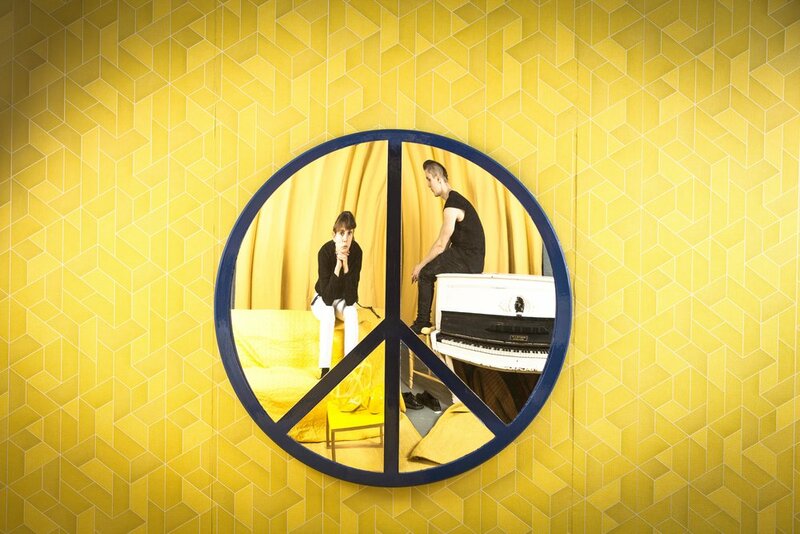 The problem that needed solving was how to have the band reflected in a mirror without seeing the photographer as well. 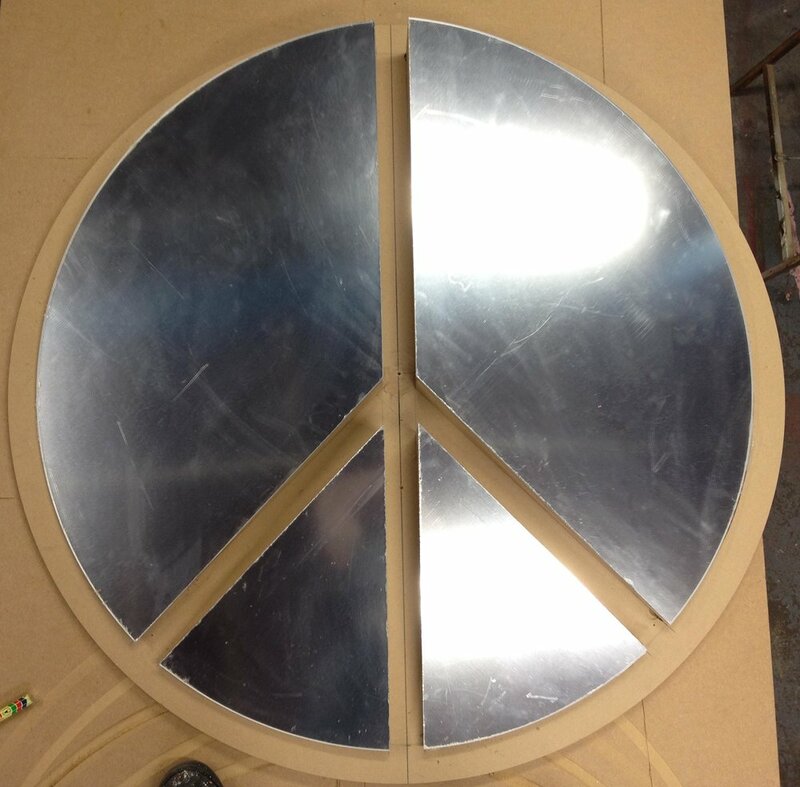 Ben designed a mirror made up of angled sections, designed to selectively reflect certain areas of the set. Another very Fashtons example of doing something tactile that could have been done much simpler in post, but where's the fun in that? Ben and the Peace boys on set. Fiona is never in the photos because she is taking them.